New College Stamford has opened a new Digital Skills Centre as part of its latest cutting-edge refurbishment after it received funding from the Greater Lincolnshire LEP’s Growth Deal. The £1 million state-of-the-art facility, supported by the Midlands Engine as well as the LEP, has been built to replicate a professional, working agency environment and is kitted out with the latest smart technology including cyber security, data modelling programming and virtual simulation software. Local employers, councillors and governors joined college staff and students to formally open the new centre on 29th January 2019. To mark the occasion, a ribbon was cut by Allison Sunley, the Chair of the college’s Board of Governors. Ursula Lidbetter MBE, Chair of the Greater Lincolnshire LEP, said: “The LEP is delighted to be supporting digital skills development for Greater Lincolnshire.  This new centre underpins all of the priorities identified in the Greater Lincolnshire Local Enterprise Partnership’s Strategic Economic Plan, not least because of increasing automation and the endemic use of digital data within all sectors of business. The investment has further secured the college as a key stakeholder in growing and diversifying the skill set of its local and regional employees, including both students entering the workplace, and existing employers keen to upskill and future proof their workforce.